At long last an environmentally friendly pen and pencil set. 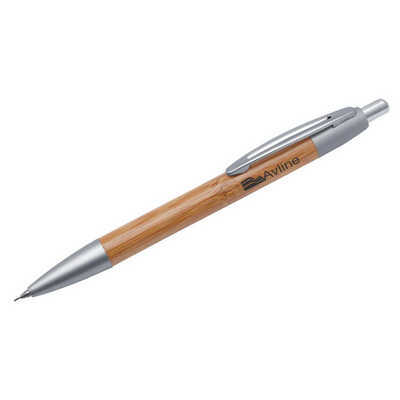 Both pen and pencil are made from natural bamboo and feature satin chrome accents. Supplied in a natural coloured gift box. Because of the unique nature of bamboo, the product and engraving colour may vary from item to item. Natural coloured gift box. Price includes: Pad Print. Setup is included.